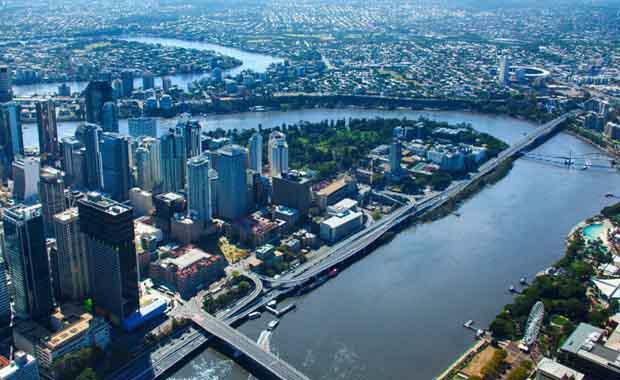 Crown Resorts and Echo Entertainment are going head-to-head to win the bid to build a new casino and resort at Queen’s Wharf in Brisbane. At the helm of Crown is chairman James Packer, Australia’s third richest person worth an approximate $7 billion, a wealth he is hoping to grow by building his empire into a global luxury casino resort and entertainment brand. Mr Packer sees his company as the underdog in this battle, claiming long odds in being successful in his pitch. “We are probably the underdogs in this battle because we are an unknown quantity for Queenslanders,” Mr Packer told QB Monthly. Backing Crown is Chinese state-owned conglomerate Greenland Holdings, a property develop that generated more than $78 billion in the past 12 months. “We are very lucky to be working with Greenland. I met their chairman in Shanghai recently and I was extremely impressed by their professionalism and the size and quality of their global portfolio,” said Mr Packer of his partner for this project. Crown Resorts are facing off against rivals Echo Entertainment, who Mr Packer has bested before, winning the rights to build a second casino in Sydney at Barangaroo, near Echo’s Star Casino at Darling Harbour. Currently, the Matt Bekier-led Echo hold a casino monopoly in southeast Queensland, with The Treasury in Brisbane and Jupiter’s on the Gold Coast. In order to ensure their success, Echo have teamed up with investors in their bid to build a multi-billion dollar Queen’s Wharf precinct boasting luxury hotels, apartments, stores, restaurants, day spas, a casino, and parkland. Echo’s backers include Hong Kong billionaire David Chiu’s Far East Consortium and Chow Tai Fook, a luxury conglomerate headed up by Cheng-Yu-Tung, worth an estimated US$16 billion. “We are in this to win it,” Mr Chiu told QB Monthly. Both Crown and Echo have tabled their plans for their respective casinos, but are restricted from providing specific details or images because of the Queensland Government’s confidentiality deal. “It’s all in the hands of the Queensland Government now, our proposal is in and we can only wait and see. I am hopeful, I’ll try and be patient during the government’s deliberations, but patience and sitting quietly [have] never really been by strong points,” said Mr Packer. A decision is due to be announced late February in 2015.